The best just got better! The newly redesigned 16 oz. 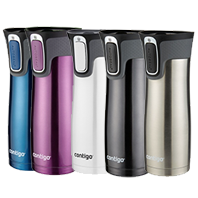 West Loop Stainless Travel Mug with Easy-Clean Lid has a thoughtfully designed lid that pivots open making it easy to clean. This mug features the one-touch AUTOSEAL lid that automatically seals between sips to prevent spills, and the new lid-lock button prevents the AUTOSEAL® button from accidently being pushed while on-the-go. 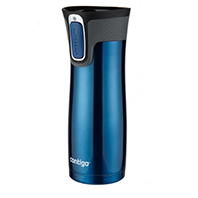 The west loop travel mug provides convenient one-handed drinking for both left- and right-handed users. Radiant Orchid $20.99 Check back soon! Black $20.99 Check back soon!